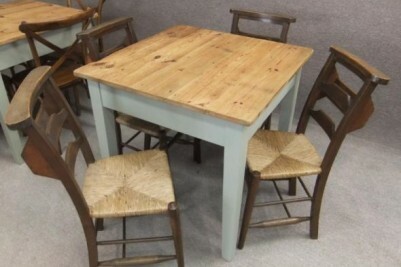 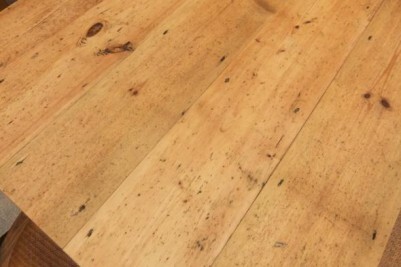 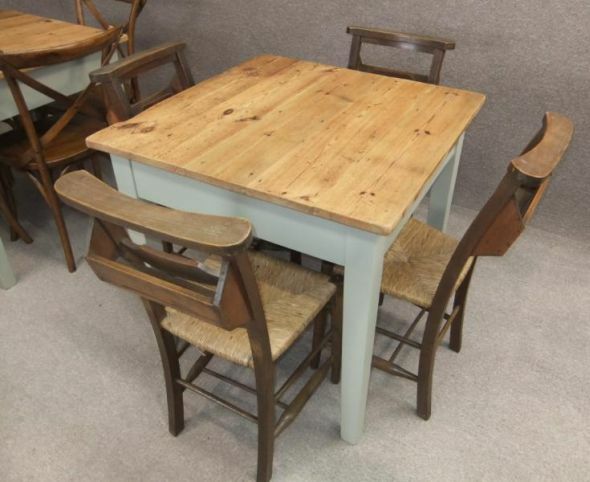 Introducing our new rustic pine table: a wonderful addition to our large range of furniture. 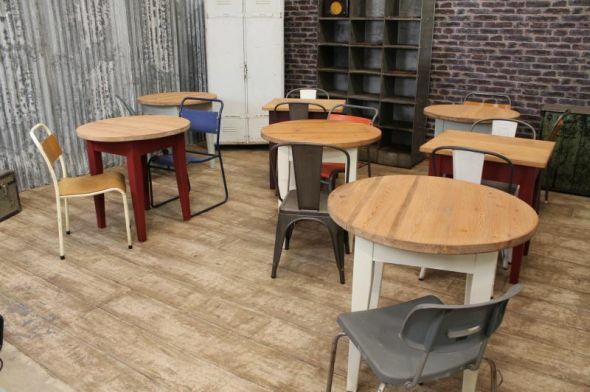 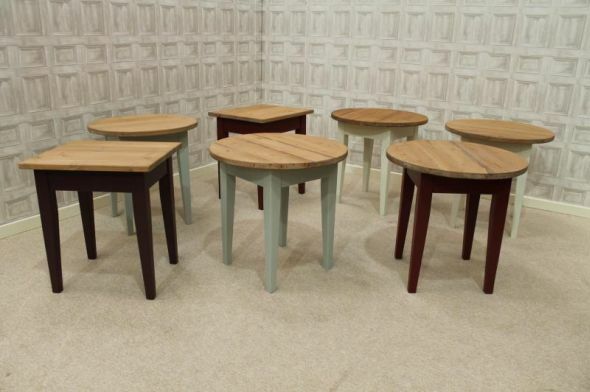 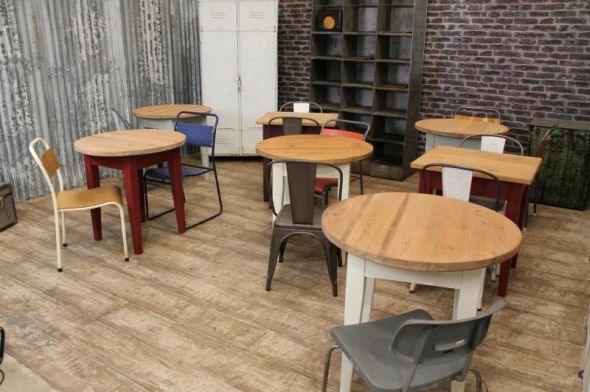 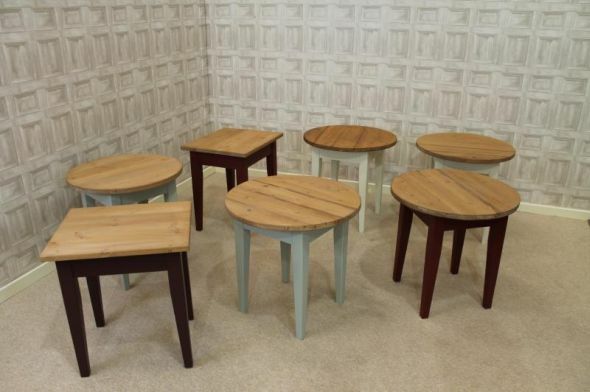 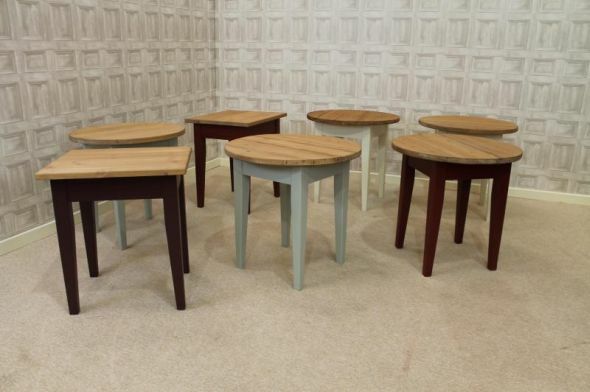 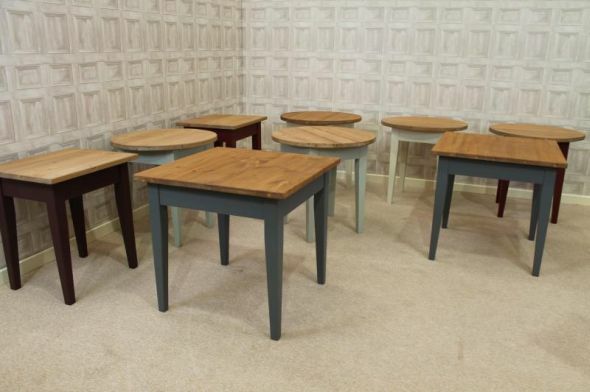 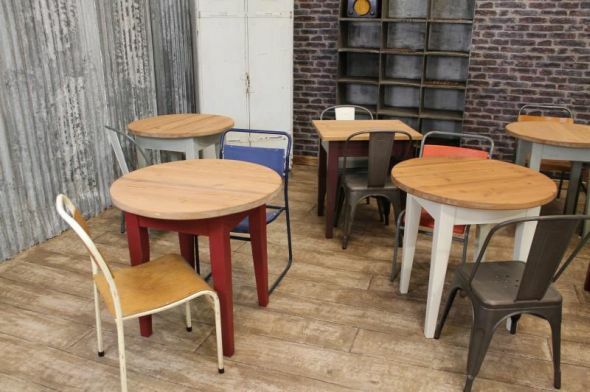 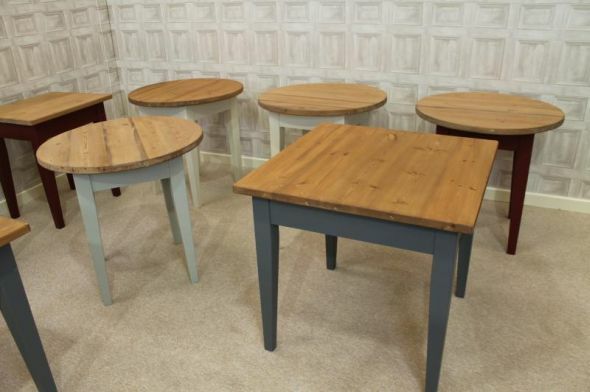 These made to measure tables have been built with recycled timber. 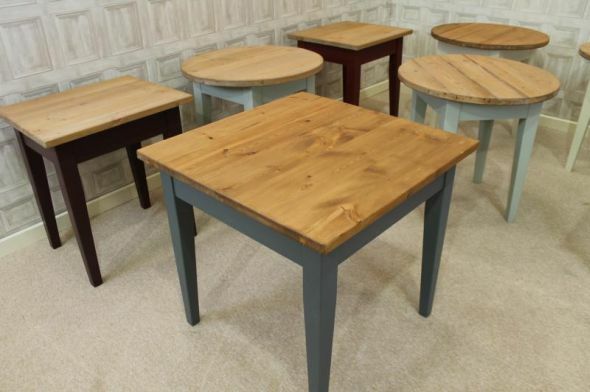 The table tops are oiled for ease of maintenance and hygiene, and the bases can be painted in any colour you require to suit your interior. 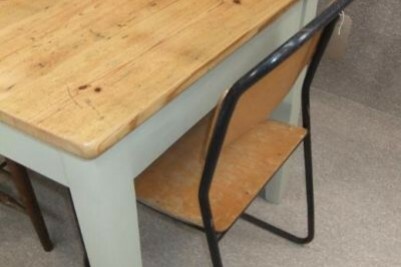 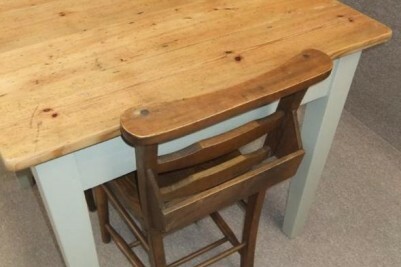 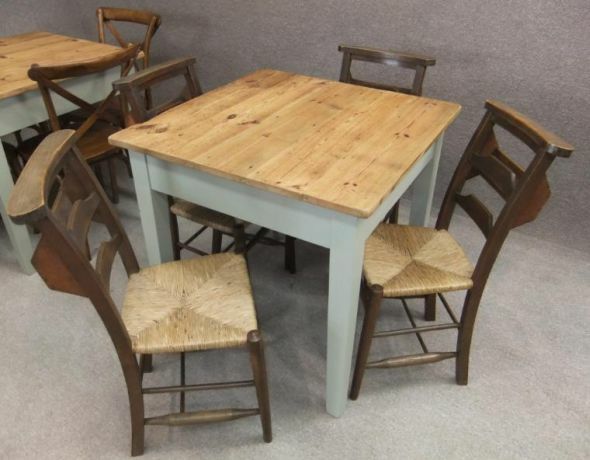 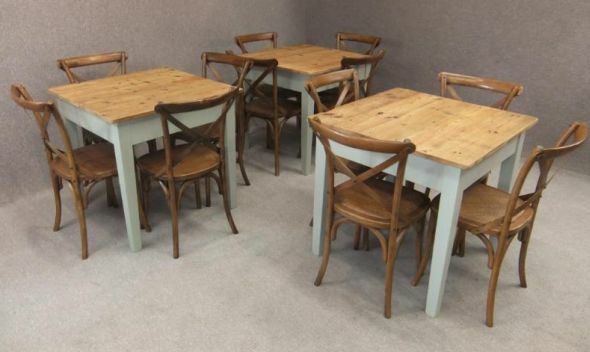 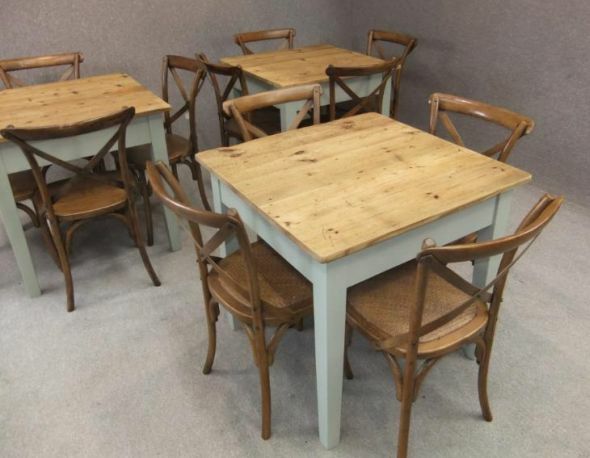 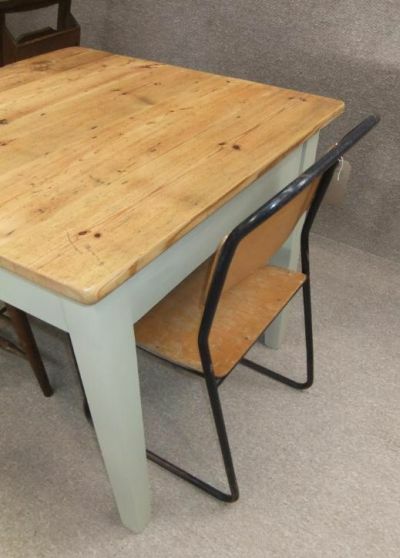 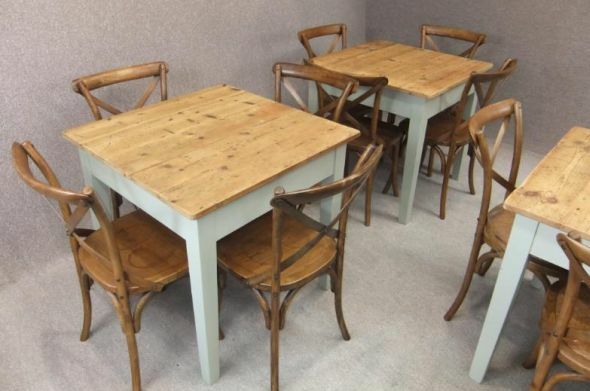 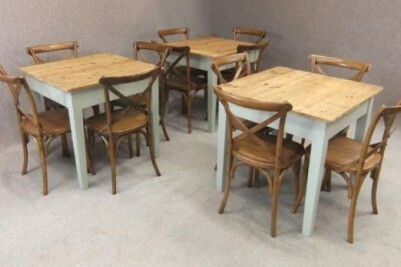 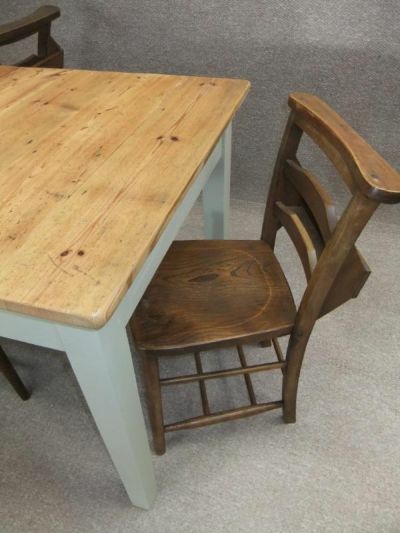 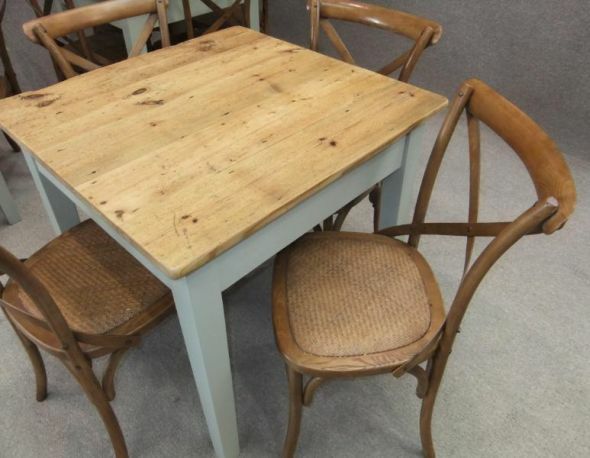 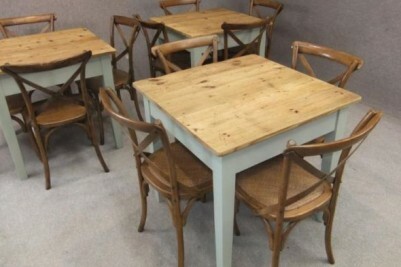 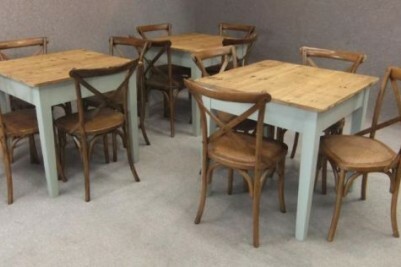 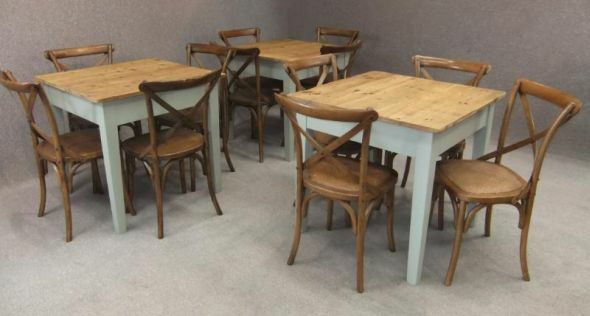 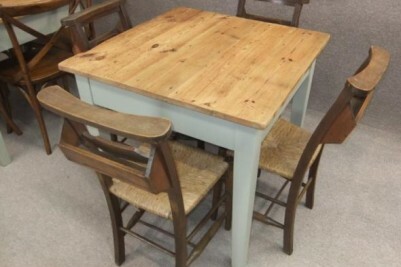 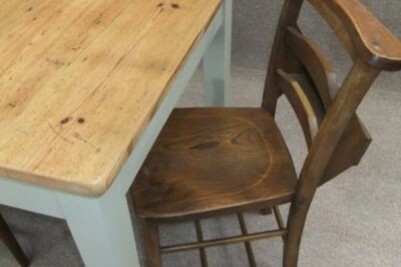 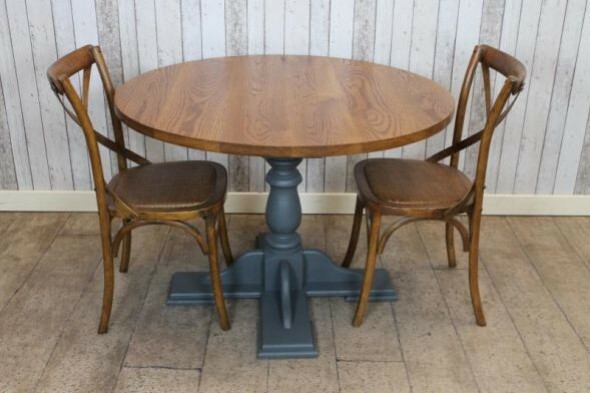 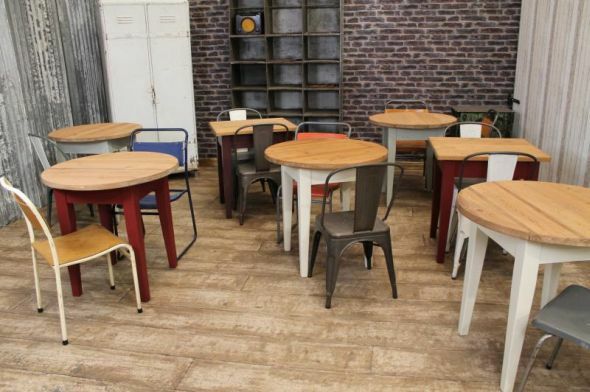 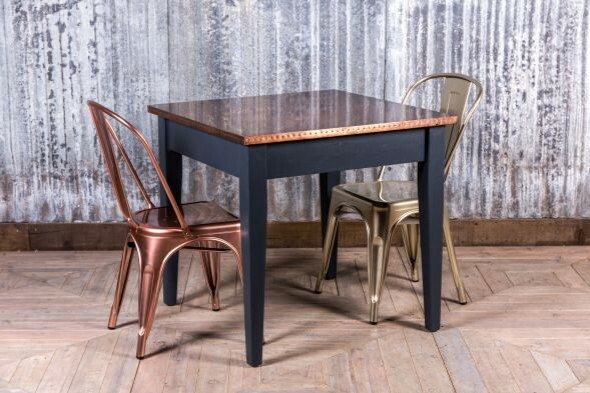 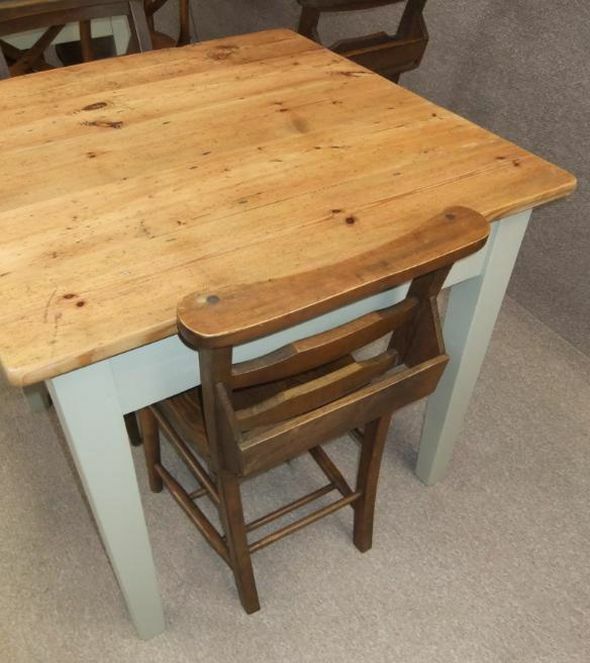 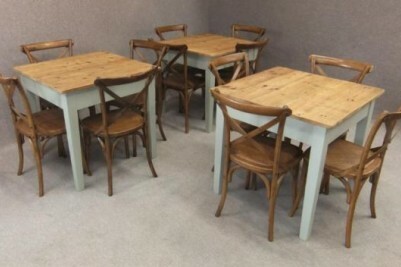 We can supply these tables with a set of chairs from our large range of vintage and reproduction kitchen and dining chairs. 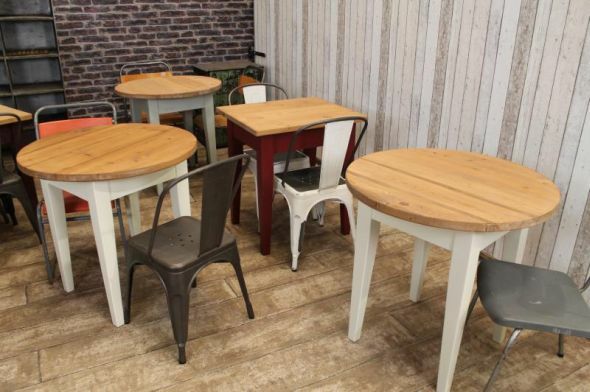 These rustic pine tables have been photographed with our 'Bentwood' chairs, which are available in a range of colours and styles. 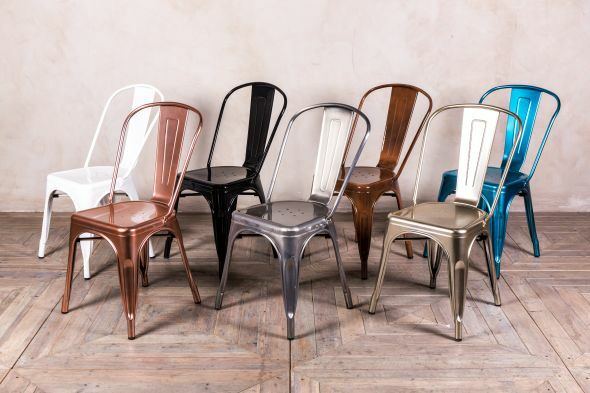 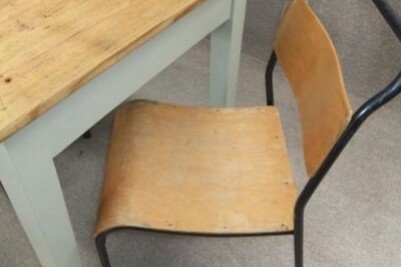 We can also supply a set of chairs from our extensive collection of vintage and antique chapel chairs, or our industrial stacking chair range. 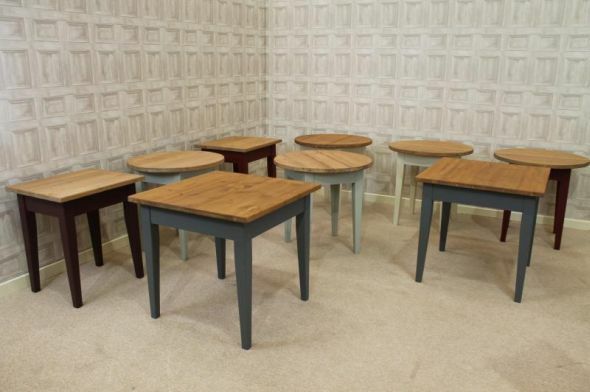 These rustic pine tables can be made to any size specification. 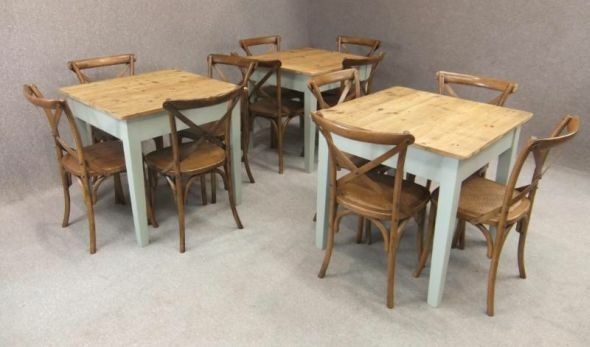 Please contact us on 01543 375872 to discuss your requirements. 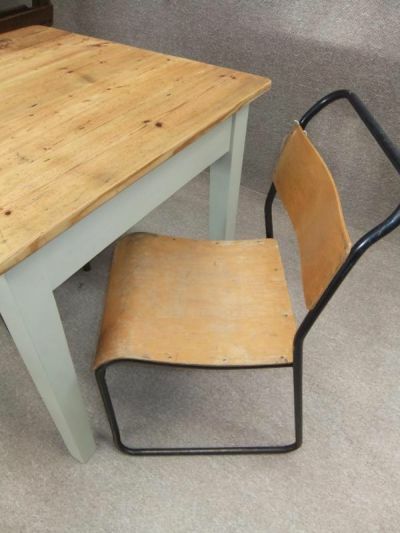 The chairs and other items of furniture portrayed in the photographs are not included in the listing but can be purchased separately. 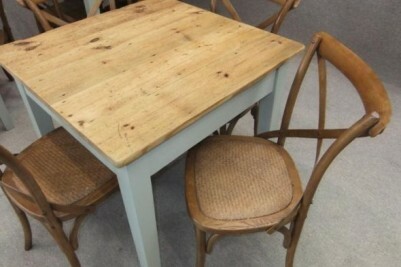 The tables are £280.00 each for quantities of five and above. 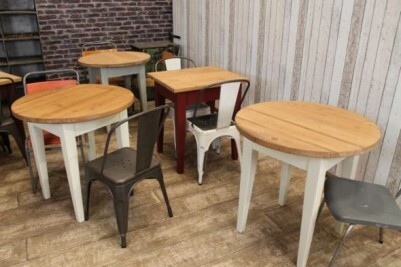 Please call us to discuss delivery. 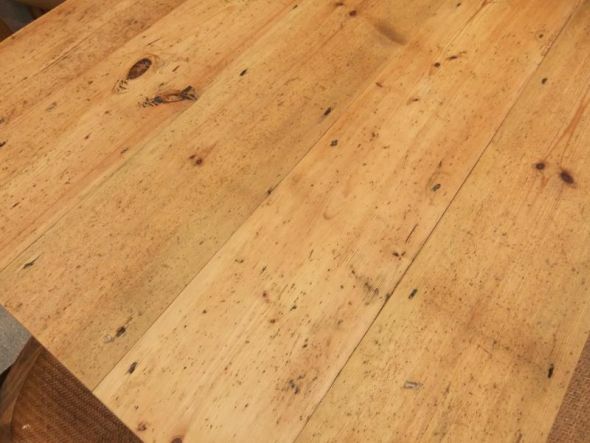 Please be aware that timber is a natural product and may expand and contract due to significant temperature/humidity changes.